​​ ​Submit your travel and accommodation claim online. School-based apprentices and trainees: This information is not applicable to school-based apprentices and trainees. Please contact your school to discuss travel and accommodation subsidies. 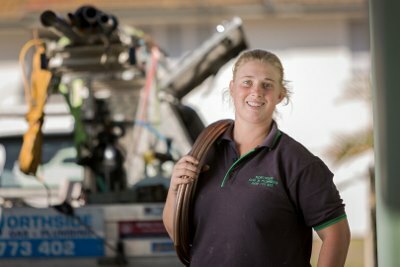 The Department of Employment, Small Business and Training provides a travel and accommodation subsidy to eligible apprentices and trainees, who are required to travel at least 100kms return to attend off-the-job training for their apprenticeship or traineeship. The apprenticeship or traineeship must be registered in Queensland. The apprentice or trainee must travel at least 100kms return (by direct route), to their training organisation, from their usual place of residence. The apprentice or trainee's usual place of residence may not be a home address if they usually live away from home to attend work (e.g. living in a mining camp for work purposes). The apprentice or trainee must attend their closest training organisation able to deliver training in the relevant qualification. Claims must be submitted to the department within six (6) months from the completion of the training block or attendance period being claimed for. Claims submitted more than six months after the last training day will only be paid in exceptional circumstances and will be assessed on a case-by-case basis. special provisions for additional financial assistance or attendance at a training organisation that is not the apprentice or trainee's closest training organisation. Applicants whose training contracts have been cancelled must seek permission from the department prior to attending any training relevant to their apprenticeship or traineeship. Otherwise, claims for travel and/or accommodation to attend a training organisation while 'cancelled' may not be approved. The ATIS-031 Assistance for cancelled apprentices and trainees information sheet provides further details. Apprentices and trainees can apply for the travel and/or accommodation subsidy via Travel and Accommodation Online. This is the most efficient way to apply, when the apprentice or trainee is eligible and all information/supporting documents have been provided. Alternatively, complete and return the appropriate travel and accommodation form. Need help with Travel and Accommodation Online? View the Travel and Accommodation Online Manual for Apprentices and Trainees (PDF, 739 KB) - v2, July 2018 or contact Apprenticeships Info on 1800 210 210. Once a claim has been submitted by an apprentice or trainee into the department's Travel and Accommodation Online, SRTOs are able to electronically verify the attendance of an apprentice or trainee through the Travel and Accommodation RTO Summary in DETConnect. SRTOs who do not currently have access and want to verify claims electronically can email travel.accommodation@desbt.qld.gov.au and provide a generic email address. This will enable emails to be sent to remind RTOs that there are claims awaiting verification in DETConnect. SRTOs will also need to have a DETConnect account. For more information, view the Travel and Accommodation Online Manual for Registered Training Organisations (PDF, 920 KB) - v4, July 2018.